I create videos that make technology changes for employees easier and more fun. I create marketing/training videos to help you promote application updates and releases inside your organization. It's hard to get people as excited about new things as much as the IT department gets excited. I have worked with IT departments for the past 7 years creating short videos that highlight new changes coming up to software organization-wide. Sometimes you need to get the word out and a short video that's a hybrid between training and marketing does the trick. These are a unique hybrid of video that aren't straight training (boring) and they aren't straight marketing (unhelpful) either. It's a combination of both aspects together that is well received within organizations both large and small. I have been producing these videos for large corporations for over 7 years and they're always a hit. These simple and short training/marketing videos are meant to introduce releases coming from the IT department. Often times new software or updates to current software aren't well received. People don't know it's coming and they're resistant to change. We develop each short video to make the transition for employees much easier. A marketing/training video improves the relationship your organization's IT department has with employees. It makes everyone's life easier and software/app changes much easier. They're not boring training but they aren't overly marketing either. I'm a trained Instructional Designer with a Master's of Science from the California State University, Fullerton MSIDT program. That means I put the thought and science of Instructional Design into my videos but I use the power of simplicity and entertainment so people love them. Simplifying things is much more difficult than the counterpart. In 2011 I got my Instructional Design degree from the MSIDT program at CSU, Fullerton. Later that year I started my first big corporate L&D job at Robert Half. I've been working in corporate L&D departments and IT departments since 2011. I currently work in the IT LL&D at DaVita which stands for Launch, Learning, & Development. Since 2012 I have been creating short videos to help employees learn simple processes and how to effectively navigate a big change from the IT department. I specialize in using Camtasia but they go well beyond simple screen shares. I also work with Adobe After Effects. I don't currently have any full videos I've created for software releases available because it's all proprietary content for the organizations I work for. I'm planning on creating some samples of my work from scratch though. This is a good thing though! I respect your organizations privacy and make sure I get all necessary approvals before sharing anything. I do have bumper videos I created which I was approved to share because they don't share any proprietary system. You can check those out on the examples page. While I lack full examples at the moment, I do have many references from managers and co-workers. I do this on the side (my evening fun!) so I'm still actively producing videos for DaVita. In fact, I'm probably somewhere in the process of creating one right now. If you would like some references, please let me know. Over the years we've developed a process that works well. We have tailored this process to the specific case of making training/marketing videos for organizations. I will work with you to lay out the project specs. This includes the objective, what people need to do, and why you're doing it. This is where we answer the who, what, where, when, why, and how. This is where I get learn all about the new software/application. I will record a session with the SME going over everything that's changing or will need to be covered. This can take as long as it needs but a lot of information will get simplified or cut to make the final video more palatable. The more that's packed in the less effective the video will be. My goal is to find a balance so I can turn the informal overview video into a polished, brief video that achieves its goals. I take my time with the script to make sure it's to the point and interesting too. Not a single word is unneeded and multiple revisions happens before you even see it. The most important part is how it's written. Writing for reading is much different than writing for speaking. You are given the opportunity to review the script before it goes to final recording. It's ok to take go through as many revisions as needed to make sure it's perfect for your organization. It's also important to get this step right because any changes to the script after the voice over is recorded can be costly. Depending on what we agreed upon, your script will either be professionally recorded, I can record it, or you can record it and provide the proper file type for the project. We like to have a crisp, clear recording so your video has good final production value. It's important to show all the details of your software or app. That's why I like to avoid screen recordings as much as possible. I prefer to work with individual screen shots which I then animate to create a high-quality and easier to follow final video. This is where everything comes together to create an amazing product that looks amazing. I take all the pieces, put them together, and animate them into an awesome training/marketing video for your organization's new and updated software/app release. The release is cool but only to IT, this gets EVERYBODY excited. You get to review the video when the production is all complete. It's not so complete that you can't make changes in the visuals and the sound effects. We'll let you do as many revisions as you need until it's perfect. Any changes to the voice over may incur extra charges at this point though. It's a lot of work to re-record and modify the entire video's timeframe at this point. Once all revisions are done and you love the new videos, it's done! We'll output the video in the highest resolution possible (either 1080 or 720). Because of limitations of many screenshots we can typically only output at 720 but we always try for 1080. Now you get to do whatever you want with your video! Post it on your organizations intranet, send it in the weekly email, whatever gets your employees excited for the new software/app. I can make recommendations from what I've seen done in other organizations. If you want to make any changes in the future we can include the source files in the final delivery (agreed upon in the initial specs). Either that or you can come to me to make the changes for you anytime. I'd love to talk to you about your marketing/training video for your next IT software/app release or update. I've developed short videos to help IT departments show off simple software/app tasks and get employees excited over upcoming releases. That's no easy feat because change isn't fun for most people. Each video is designed to show all the details of the software and explain the benefit to employees while getting them excited about new IT application updates/releases. 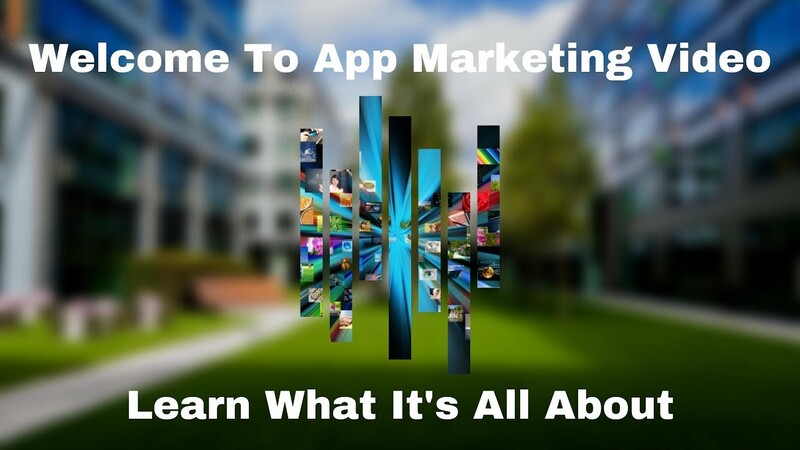 © 2019 App Marketing Video. All Rights Reserved.